One old man was sitting with his 25 years old son in the train. Train is about to leave the station. All passengers are settling down their seat. 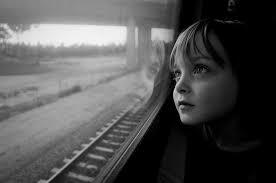 As train started young man was filled with lot of joy and curiosity. He was sitting on the window side. He went out one hand and feeling the passing air. He shouted, “Papa see all trees are going behind”. Old man smile and admired son feelings. Suddenly young man again shouted, “Papa see the pond and animals. Clouds are moving with train”. Couple was watching the young man in embarrassingly. Now its start raining and some of water drops touches the young man’s hand. He filled with joy and he closed the eyes. He shouted again, “Papa it’s raining, water is touching me, see papa”. “Yes, We are coming from the hospital as Today only my son got his eye sight for first time in his life”.